Wholesome content is the theme for Autumn 2018. It’s the next frontier in Internet culture. It’s a reminder that there’s some semblance of good in the world. It’s fuelled by lush landscapes, cute animals and an undying correspondence with the concept of love. It’s also the only way to describe Brighton quartet Fur’s music video for their new single, Angel Eyes. Fur’s strong emotional connection with love is a theme they continue to draw from; Angel Eyes (out Friday, November 23rd), a heartfelt ode to an unfruitful relationship, is the band’s first single from their eponymous debut EP, which is released, naturally, on Valentines Day via Nice Swan Records with red, limited edition copies available to pre-order. 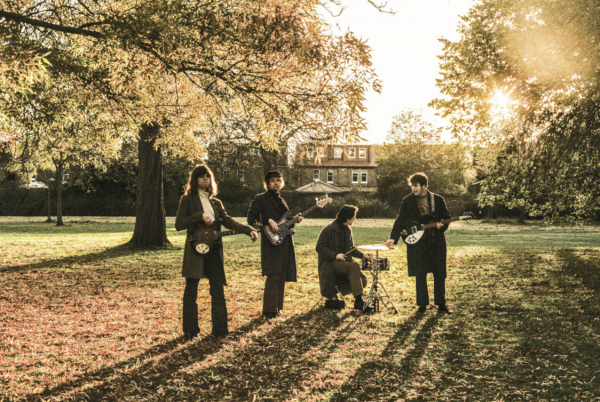 Hailed by Indonesian fans as a ‘new era Beatles’ (yes, their net has already cast that far), the band are currently embarking on a tour with Matt Maltese before they play a headline London show next year alongside a homecoming Brighton performance at Patterns.